In addition to hearts and cupids, love could be expressed through many other symbols: flowers, hands, anchors, knots, musical instruments or as here nesting birds. The 'language of flowers' was much used. Ivy represented friendship, fidelity and marriage. The Forget-me-not, used on this jewel, stood for true love. 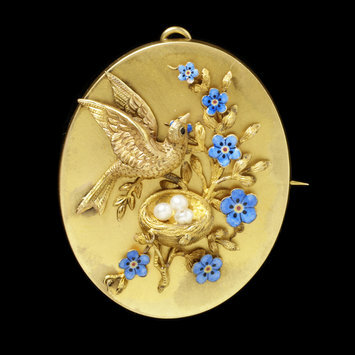 Brooch, gold plaques decorated with composition of a bird, a nest with eggs ( pearls), and forget-me-nots ( enamelled in blue). 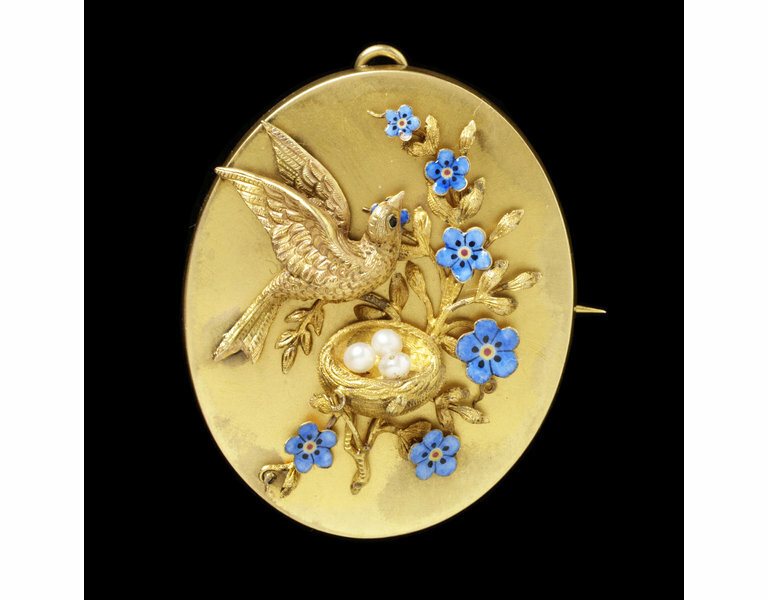 Fitted with a locket back which contains a lock of hair.